The Imperial Brewery | Flickr - Photo Sharing! 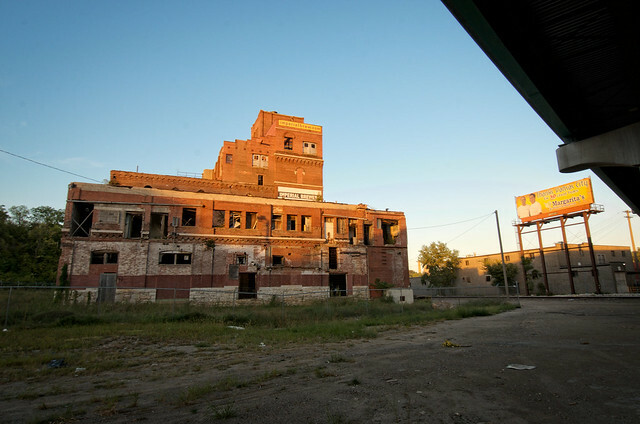 The Imperial Brewery was the brainchild of St. Louis investors. The original cost of construction was estimated at $50,000 for a brewing capacity of 50,000 barrels per year. From 1890 to 1910, Kansas City’s population nearly doubled to 248,000, as did the manufacturing sector. Part of the growth is attributed to demand from local breweries and public demand for good lager beer. In 1905, the Imperial Brewing Company elected a new president and general manager, Edwin Becker, who inherited a financially stressed operation. The first mortgage note was unpaid, and creditor claims further threatened the operation. By fall, the Brewery was formally bankrupt, ultimately purchased by the Ferd Heim Brewing Company as a branch of the newly formed Kansas City Breweries Company. In 1910, the new conglomerate made further improvements to the Brewery, increasing production to over 338,300 barrels per year. The Imperial and Mayflower brands were no longer the top sellers. The Imperial Brewing Company Brewery was listed on the National Register of Historic Places on February 11, 2011. Dean Realty Co., owner, is presently exploring development options for the site that could include joint ventures and other exciting collaborations. Sold to a milling company in 1919, the Brewery building most recently featured the workings of a flour mill rather than Brewery. Old sifters, intricate conveyor systems and mill equipment have been removed throughout the building.